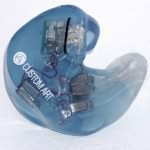 Custom Art was born from a headphone enthusiast that has been a contributor to the headphone forum head-fi.org, Piotr Granicki. With an understanding of the market and experience with plenty of earphones Piotr was determined to make a splash in the market. And he did! 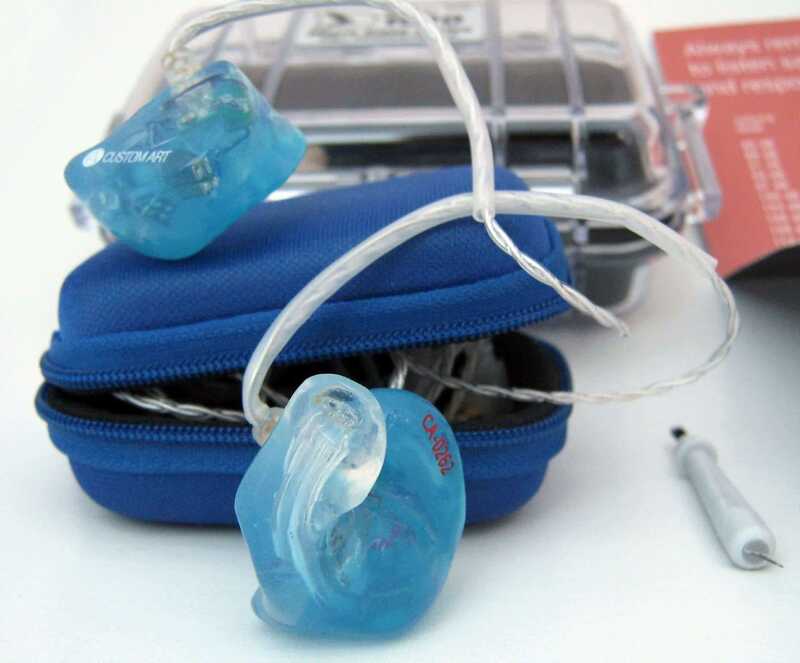 The Music One is a recommended custom in-ear monitor on The Headphone List, and the Pro 330v2 also offers excellent performance. 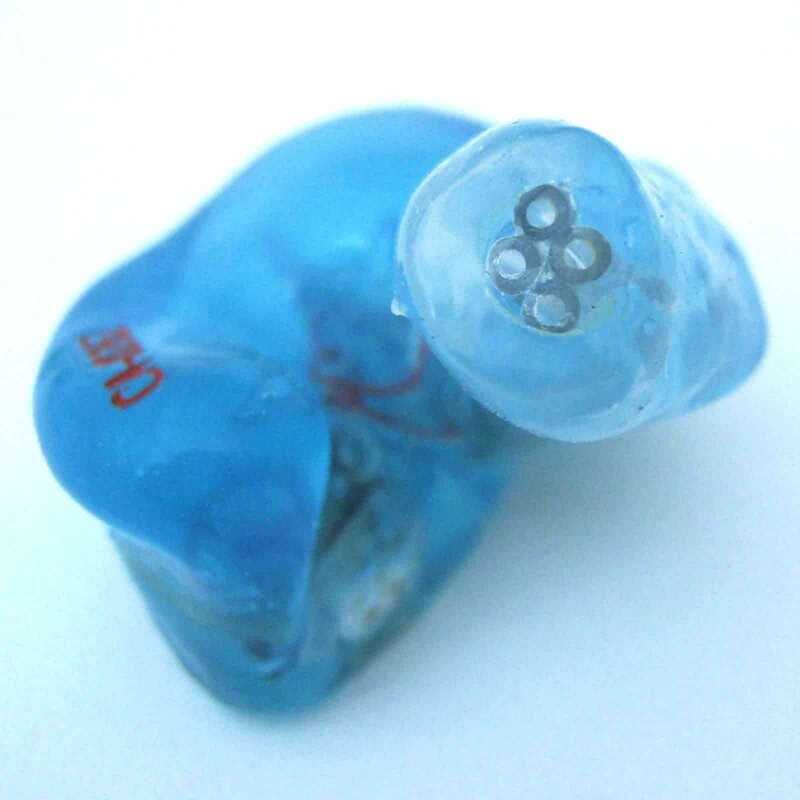 The Harmony 8 was the first 8-driver custom in-ear monitor in a silicone shell. 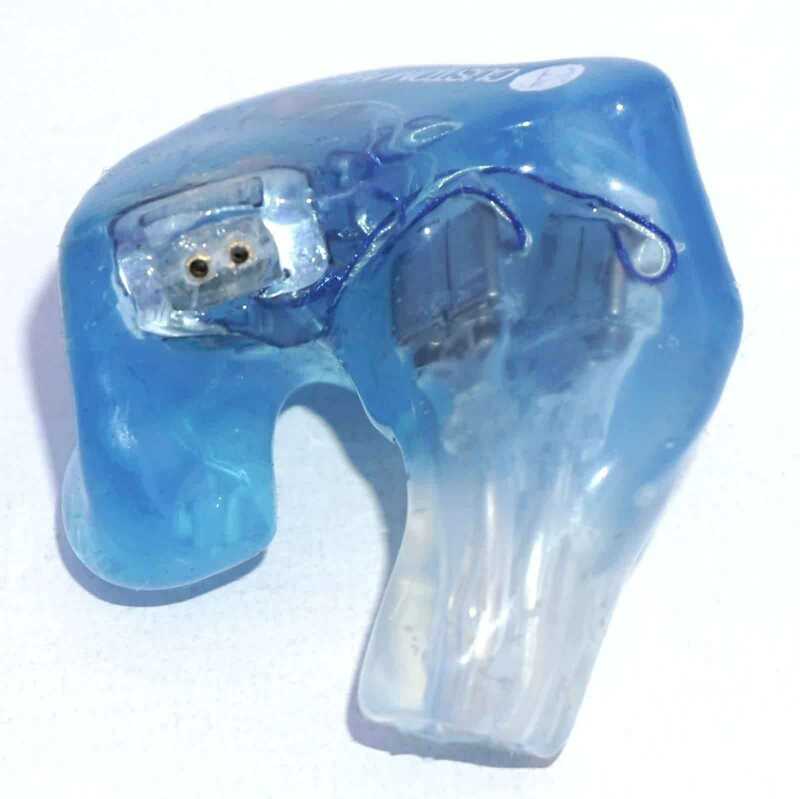 Sure, there are plenty of CIEMs with 8 drivers, or even more, but the challenge from my understanding is that silicone is more difficult to work with and presents different challenges than a hard acrylic shell. 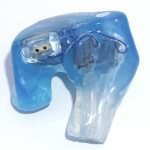 The true benefits of silicone include superior noise isolation and the ability to keep a seal [longer]during singing, head movement, and in different body positions. 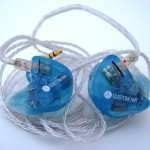 Shortly after the Custom Art Harmony 8 Pro was released with a brighter sound signature compared to the warmer Harmony 8. Per Piotr, the Pro version sounds more “natural” to his ears. If you like the bass and midrange performance described in this review but want a different treble signature, the Harmony 8 has the same bass and midrange performance. I would like to thank Piotr for answering my questions and providing the review unit. Custom in-ear monitors require sending in ear impressions and require payment before they are made, but once you decide you want a Custom Art product, go to the product page and use the Order button the bottom, which takes you to another page and a form to fill out. Once the online form has been completed, just hit the submit button. Piotr will let you know when to pay and help you with additional instructions. There are instructions on the page as well. Price as configured for the sample reviews is $1275 at time of writing, shipped. Custom Art also offers an ownership transfer program for €75 (~$95). 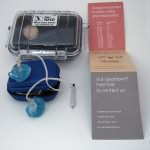 When they receive the transferred product for a reshell, the drivers checked to make sure they are working properly and the process is underway. If there are any issues with the drivers, there will of course be an extra charge, and artwork/custom engraving is extra. 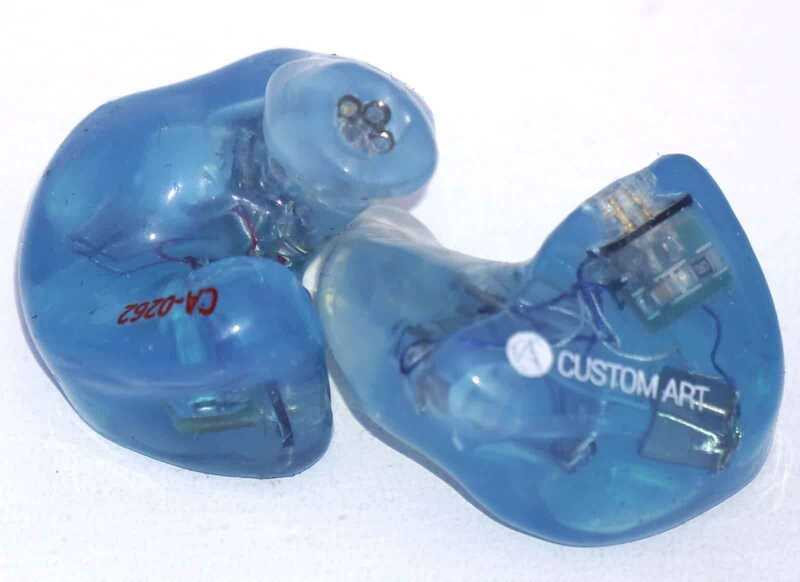 The Custom Art Harmony 8 Pro is a variation of the first 8-driver silicone shelled custom in-ear monitor, with eight balanced armature drivers, four sound tubes, and flush mounted sockets for a 2-pin detachable cable. The Harmony 8 Pro comes with accessories including a Peli water-tight hard case, desiccant pack to keep moisture at bay when storing the Harmony 8 Pro in the Peli case, a soft case for when you don’t need the larger Peli case, and a cleaning tool. 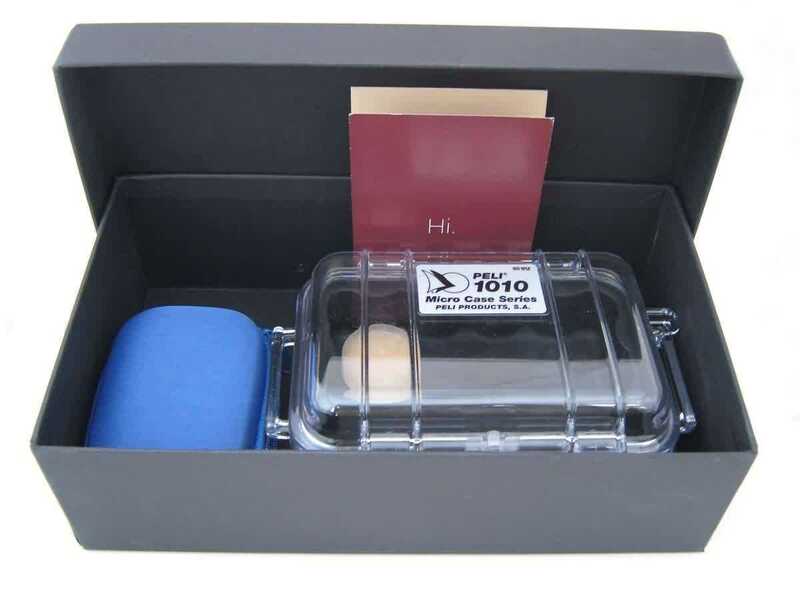 Including both a Peli style hard case and soft case show the understanding the different customers have different needs and is a great touch. 7/10. 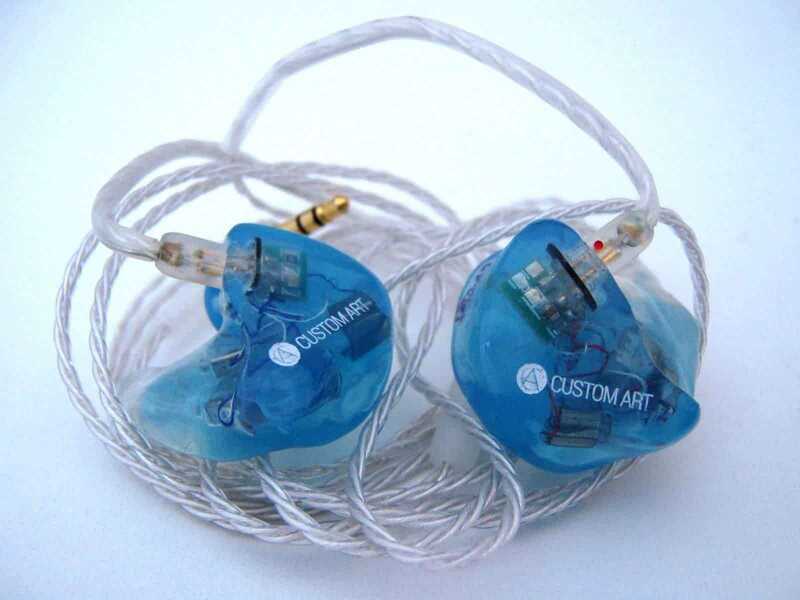 The Custom Art Harmony 8 Pro received 100+ hours of burn in as is customary before I do my serious listening. 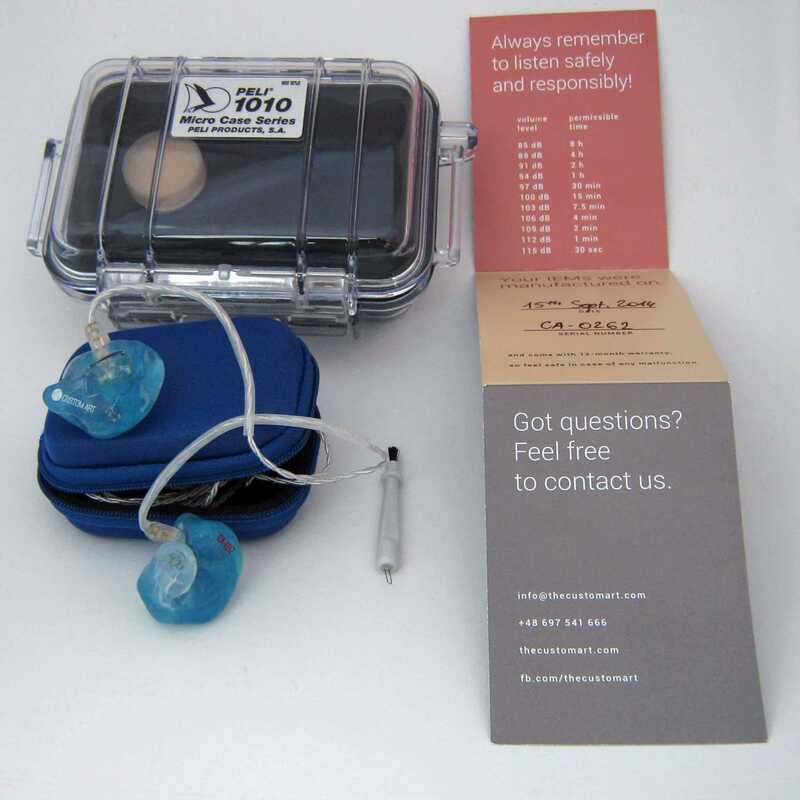 The following custom IEMs were used for comparison: Spiral Ear SE 5-way Reference, Hidition NT-6 Pro, Hidition NT-6, Ultimate Ears Personal Reference Monitor, Fit Ear PS-5, Unique Melody PP6, Starkey SA-43, EarSonics EM32, Hidition Viento-R, and Lear LCM BD4.2. Bass: The bass is neutral, quick, and punchy and in direct comparison with most TOTL CIEMs, is on the leaner side. However, that isn’t saying the bass can’t convey power and reproduce plenty of deep, detailed, textured bass with great note sustainment. Regardless of the quantity, and even at loud volumes, the high quality is never compromised, which is saying something considering the bass quality achieved the highest score I have given, even if just by a bit! Essentially, the H8P provides accuracy and control regardless of the type of bass notes, with the ability to recreate nuances in acoustic music as well as electronic bass notes that surpasses all others I have heard. While the H8P is more revealing in the bass region than I have heard, that can be a good or bad thing as some recordings have their bass flaws revealed (I am used to this in the treble region, but not the bass). Dynamics are first class with excellent punch and speed. Overall the bass is extremely capable, powerful, and revealing but not overbearing in any way while recreating nuances missed by most other TOTL CIEMs. If you want a bass monster, this isn’t it, but if you want to hear oodles of detail, the H8P delivers. Midrange: Very natural with a relatively neutral tendency sharing tonal characteristics of the excellent Music One, but with better layering, depth of presentation, and detail. The presentation perspective of the midrange is quite neutral and as such, the midrange doesn’t stand out nor does it hide behind the other parts of the spectrum that are well integrated. The upper midrange has a slight boost that adds a slight brightness to vocals, especially female. This brightness is accentuated by the track quality as the H8P becomes a bit edgy in the upper midrange with poor quality tracks. Overall, the midrange of the H8P is very good, natural for the most part, and near neutral with a slight brightness to it, but isn’t an emphasis of the presentation. Treble: The treble is presented with some emphasis for a brighter than neutral overall tonality leading to an open sound. Coherence between the midrange and treble is very good as the accentuated upper midrange continues into the treble keeping an emphasis in the region that sounds natural with the sound signature. Detail levels are about on par with some others high-end CIEMs such as the Hidition NT-6, Lear LCM BD4.2, and Spiral Ear SE 5-way Reference; however the H8P notes are sharper and less forgiving. This sharpness isn’t a deal killer if you aren’t ultra-sensitive or continuously have a direct comparison with the above mentioned CIEMs, which was prove to me as I was able to listen to the H8P for extended periods of time without issue. Those that want a darker sound or are averse to sharper treble but want the excellent bass performance of the H8P may want to consider the Harmony 8, which is the same as the Pro except for the treble performance. Overall, the slightly boosted treble has an analytical edge that is great for those that want to hear the fine nuances within tracks. Presentation: The Harmony 8 Pro has excellent spatial qualities including excellent proportions and an airy sound. The presentation perspective is quite neutral, being a bit more laid-back than the NT-6 and SE5, and about on par with the Viento-R and EM32. The overall size isn’t quite as large as many of the competitors, offering a similar size to the NT-6, but with a bit more air. Focus within the soundstage slightly trails the top performers in this category, and is better than a large portion of the competition. Imaging is also near the top of the performance chart, as is clarity for a well layered presentation that reveals details well. 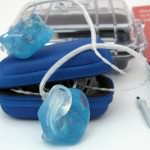 Instrument separation and articulation are excellent making it very easy to hear all the detail recreated by the H8P. Note performance is very good, with a relatively neutral ADSR that has a bit shorter/faster note through the bass and midrange. The treble notes are sharper and more analytical, possibly from a faster decay. The H8P can keep up with the speed of any track with excellent punch and dynamic range that again are near the top of the performance charts. Overall coherence is very good, but the treble region at times can reduce the overall frequency response coherence due to the different note ADSR. Transparency is very high with high quality recordings as the H8P disappears, leaving only a well layered music recreation. 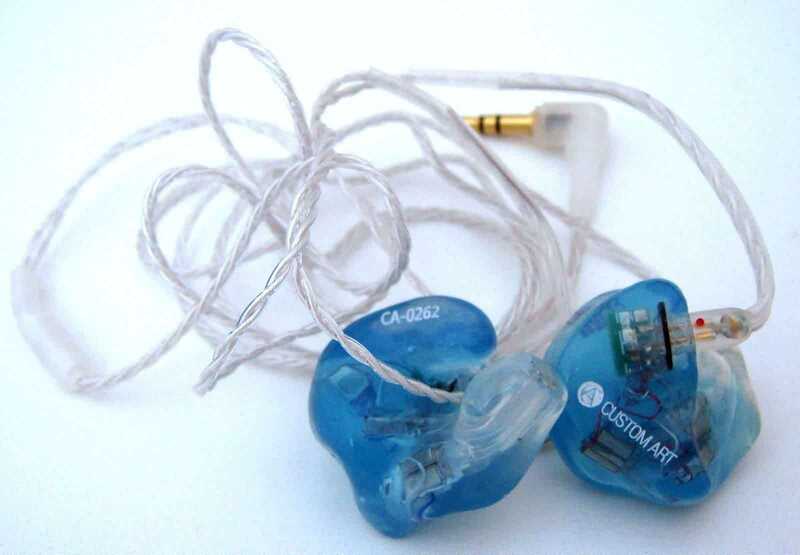 Volume performance: The Harmony 8 Pro retains its sound signature quite well across the volume spectrum, but as with just about every earphone, low level listening is affected by the human loudness curves. 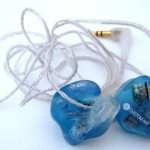 At very low volume levels the bass driver doesn’t have the punch and impact that is there when the volume is turned up slightly; typical for a balanced armature bass driver, especially with neutral bass. At low volume levels up through the loudest I would consider listening, even for a short period of time, the H8P remains clean and very detailed, articulating detail quite well. Overall performance at high volume levels is one of the best I have heard, if not the best. The sensitivity is average enabling the H8P to pair well with most sources. Sound Summary: The Harmony 8 Pro has a tame but very capable low end with the most resolution I have heard in a CIEM. The natural midrange articulates detail well while the upper midrange and treble have a brighter tonality and airy feel while treble notes can be a bit less smooth than the midrange. Performance is at or near the top of my numbers across the board, including clarity, transparency, imaging, dynamics, detail, and resolution. Spatially, the H8P is excellent, and while the presentation size is marginally smaller than some of the competition, the airy, open sound and perfect soundstage proportions make for a realistic experience. All of the technical aspects are all competitive with other TOTL CIEMs, and both detail and resolution are at the top of the chart. The H8P will satisfy detail junkies that want to hear nuances that are easy to hear without paying attention, but don’t want an analytical presentation. Having a life-long love of high-quality audio and gadgets, average_joe got back in touch with his audiophile side after a hiatus caused by life. His focus became headphones and related gear as the size and price fit his life better than home audio. He believes the entire audio chain is important, and likes to continue to think past the headphone and on into the head, as he believes understanding the details of how we hear will lead to a better audio experience. hi, have you tried the non-pros? if so how do they compare? average_joe. Thank you for this excellent review. Sometimes I sit back with a bowl of chow and read your reviews, instead of watching a movie or any TV serial. I’m finding it difficult to find downsides to silicone. Does it get sweaty upon extended use? Perhaps the art options aren’t diverse, but that isn’t a con really. I don’t think there are other CIEMs that use full range drivers, are there? Thanks for reading, and I am glad my reviews can replace movies and TV! There are pluses and minuses to everything depending on how you look at things. While I like silicone shells, I really can say I don’t have a preference. My preference is for an excellent fit. Fantastic review! Good job Peter!! 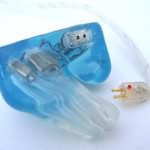 I hope you can expand a bit more on the fit issue of a silicon custom like this versus the more traditional acrylic. With its longer canal and silicon bring more sticky than acrylic, would insertion and removal be more difficult and would you be more conscious of the deeper insertion. Thanks. First, I have experienced several different finishes on silicone shelled CIEMs, with some being more sticky than others. 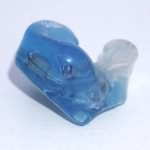 Regardless, if they are sticky at first, ear lubrication and repeated use will result in easy to insert and remove CIEMs. Because silicone shelled CIEMs aren’t rigid like acrylic shells, they are more forgiving, but both should have a proper fit for ideal seal and comfort. 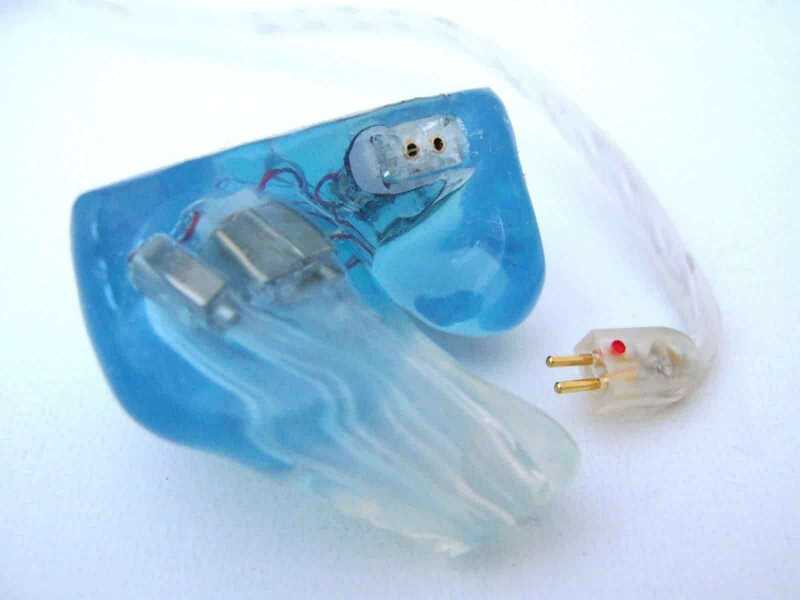 I have also had deep insertion acrylic (Heir Audio 8.A), and silicone is certainly easier to insert and remove. Let me know if you have any additional questions. Thanks for the clarification, Joe. However, I think the CIEMs world is still too expensive… at least for my pockets so far..
A nice 1st review for this new 2015.. Thanks for reading the review and commenting! 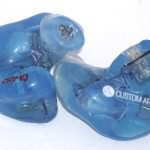 There are many lower cost CIEMs from Custom Art and others that offer excellent value for money. If the lower cost stuff is still out of your price range, joker’s in-ear earphone review list should help with finding gems in any budget, and he and I pretty much always agree on the sound signatures and level of sound quality.